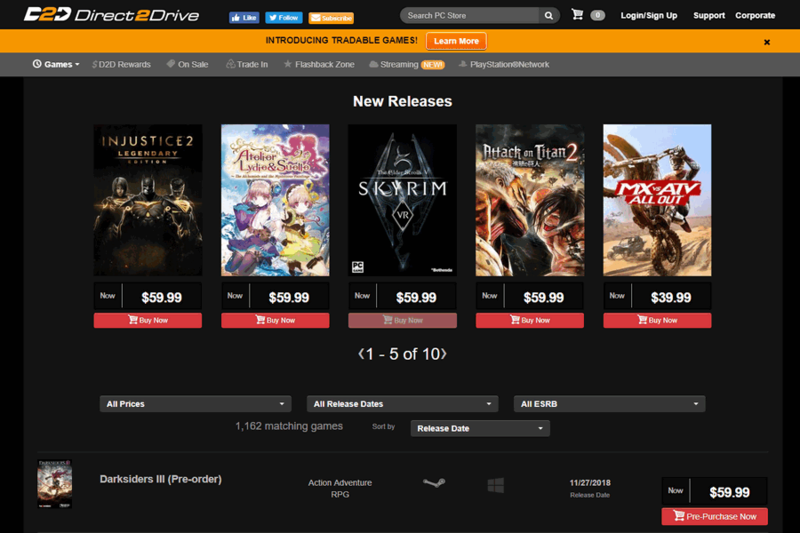 Direct2Drive is yet again a great platform which has the latest digital games at the great price. It carries all the newest products at a very reasonable price. We can expect great deals from its highly filtered and configured library. It has everything from the category of actions to strategy to adventure. You can search for good stuff in here. The user need not to worry if he is a mac user or PC user. Direct to drive has the collection for the type of users. It has amazing membership programs which help you earn more and more profit from whatever you spent. However, the more you’ll spend, the perks you’ll get, it works on this philosophy. You can look for enormous membership options, which will allow you for more and great perks. Begining with simple membership, it has gold silver bronze and different memberships as well. 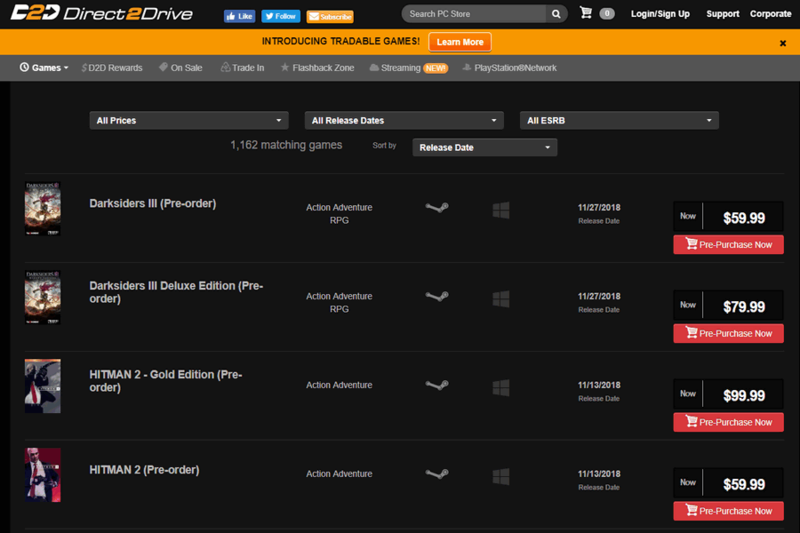 So, if you too love and crave for newest pc or mac games, roll to Direct2Drive. 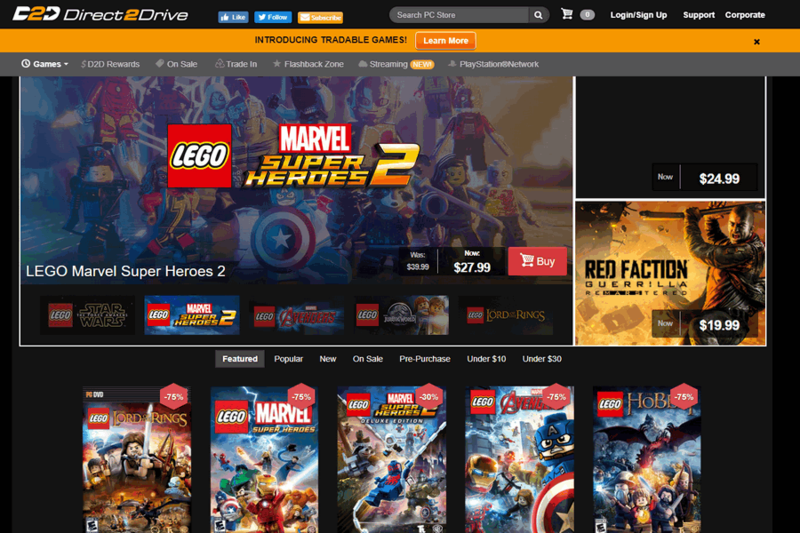 Direct2Drive is your ultimate destination to purchase & download the latest digital PC and Mac games.